As most of the work I do is with twins, I often get asked about top ups which are extremely common. Here’s some information about what top ups are, how they affect breastfeeding and how you can reduce/remove them. Top ups are feeds given to babies where there has been an issue (perceived or real) with the baby’s weight gain. There are many times top ups are absolutely needed to get through the first few days or weeks. They can be either expressed breast milk or formula and are generally given at the end of a breast feed (so baby will breast feed then be ‘topped up’). Often these start by syringe or cup but can move on to bottles when amounts get bigger in line with baby’s tummy growing. What are the issues with using top ups? Often top ups have been started in the hospital. Parents get home and there’s no reduction plan in place and there’s fear that by reducing the top ups parents are harming their baby. How to reduce top ups? Before reducing top ups – ensure that you’re happy that your baby is waking up regularly for feeds, has lots of wet and dirty nappies, is at times alert (bearing in mind newborns are often very sleepy), is gaining weight and looks generally healthy. If you’re worried at all, talk to your midwife/health visitor. Reducing top ups will put extra demands on mum for the first few days – baby will feed much more frequently and mum will need positive support and encouragement round her to give her the space and confidence that she can do it. She will need good nutrition, lots of water and support to take short sleeps/rest, Ideally the earlier mum can start this the better. This is where having the support of a postnatal doula could really help. 2. Remove one of the top up feeds every couple of days – generally I suggest starting with removing the first feed of the day and then removing the next feed etc. If you feel really confident that you can do it, you might want to eliminate all supplements especially if you have been expressing as your breasts will be able to meet the demand – this is an entirely personal decision. 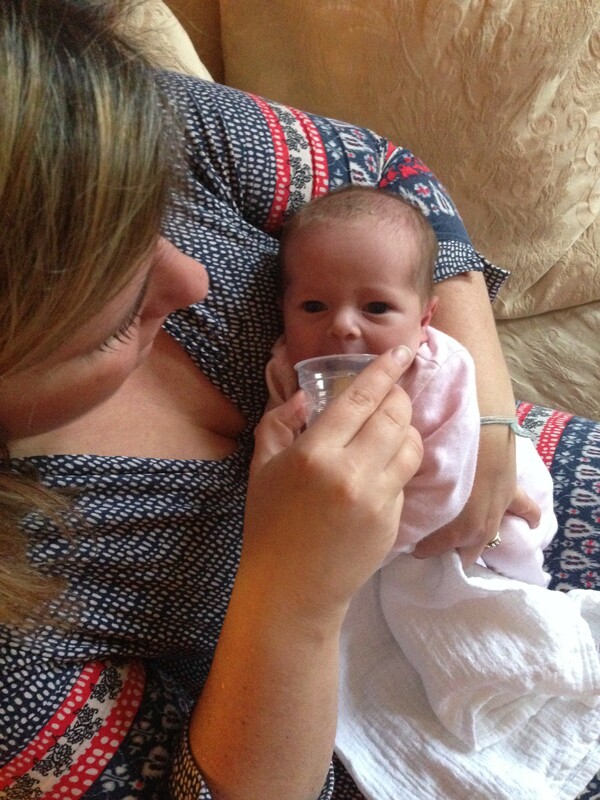 Follow the basic rule of feeding the baby as often as you can, lots of skin to skin, lots of gentle encouragement and nurturing and you know it will be successful if baby has lots of wet and dirty nappies. Mum is much more likely to feel confident that she can feed her baby, she will spend less time organising supplementary feeds so feeding should be simpler and easier including no time sterilising, preparing and warming milk and is likely to be able to feed for a much longer duration (in most cases exclusively). There are so many well documented advantages of breastfeeding and of course, if there’s no formula, there’s far less costs. If you need more help – take a look a Help and Resources for feeding or get in touch.